In order for CCS to play its role in reducing global CO2 emissions on a significant scale, it will need to be deployed in developed and developing countries, particularly given that it is expected that all of the net fossil fuel growth (and associated CO2 emissions) will be in developing countries in the coming decades. 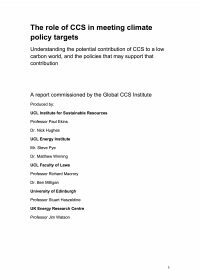 While there is a strong climate change case for supporting CCS, there is currently only a relatively weak ‘business case’ for CCS in most developing countries. This report, developed for the Third Clean Energy Ministerial Meeting held in London on 25-26 April 2012, makes recommendations to Ministers on the need for short- and medium-term funding. 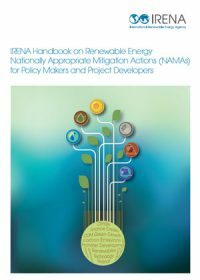 This Handbook focuses on the role that Nationally Appropriate Mitigation Actions (NAMAs) can play in promoting renewable energy in developing countries. The concept of NAMAs was developed in the negotiations carried out under the United Nations Framework Convention on Climate Change (UNFCCC) to denote planned, voluntary greenhouse gas (GHG) mitigation actions in countries that do not have a legally binding emissions commitment. Notifying a NAMA thus practically means putting a UNFCCC-backed label on national development activities with mitigation effects. Renewable energy, being carbon dioxide-free, is a perfect candidate for a NAMA as it combines development benefits through the provision of energy with GHG reduction. 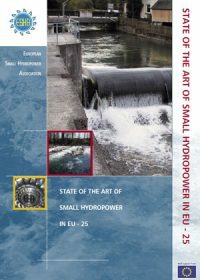 This report describes the advantages of small hydropower (SHP) and the status of the industry in Europe. It also outlines the European policy framework, and market incentives and support mechanisms. The report concludes with a discussion of challenges including standards and raising awareness.